Taco Bell's new Chicago location is making plans to serve booze, and we have the documents to prove it. The new restaurant, coming to Chicago's Wicker Park neighborhood this summer, could be the first Taco Bell to serve alcoholic beverages, and city records obtained by Thrillist through a Freedom of Information Act request reveal new details from the plans, including what the boozy drink options might be. Along with the typical Taco Bell fare like Crunchwraps and smothered burritos, an outline of the location's menu, dated Feb. 26th, includes “Wicker Park Specials” such as two draft beer options, as well as “Twisted Freezes,” which are described as “Frozen Beverages featuring Vodka, Tequila, or Rum.” While there's no mention of the crazy Doritos Locos margaritas of our dreams (or nightmares? ), just imagine kicking back at a freaking Taco Bell with a Corona and a pile of tacos. Now that sounds like living más. Screenshot of Page 6 of the planned menu. 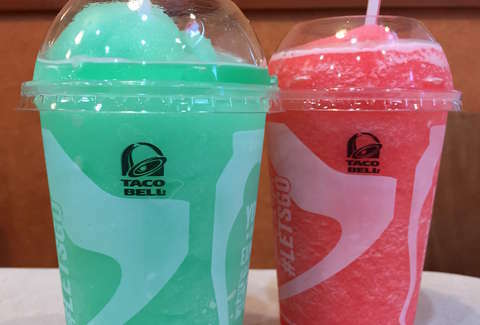 On Wednesday, Eater was first to report that management at the new Taco Bell had applied for a liquor license, but a spokesperson for Taco Bell declined to provide any further details or even confirm the information, when reached by Thrillist at the time. But now, the records we obtained from the city substantiate reports of Taco Bell’s intent to get its liquor on at the new spot, 1439 N. Milwaukee Ave, which totally makes sense, seeing as it’ll have to compete with nearby popular tacos and beer spot, Big Star, oh, and Rick Bayless' Xoco Bistro. And there’s more! A business license application submitted to the city by the restaurant’s owner, Cantina Chicago LLC (doing business as Taco Bell), indicates the new location won’t include a bar, but that alcohol would be served at a counter — or, basically, where you’ll find us. The owner of Cantina Chicago, Neil Borkan, received a ServSafe Alcohol Certificate from the National Restaurant Association after passing an exam on responsible alcohol service on March 3rd, so apparently this guy is pretty serious about serving up the boozy frozen drinks. 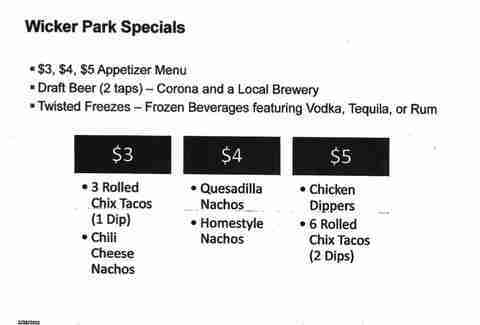 While the outline of the menu and applications all amount to just plans (both Taco Bell and Borkan did not respond to phone and email requests for comment), there’s yet another clue suggesting a beer-filled Taco Bell run could be in your future: Cantina Chicago just made a payment for a liquor license application for the location on May 6th, according to the city’s publicly-available list of recent liquor license applications. Even if Wicker Park’s new T-Bell ultimately doesn’t serve liquor when it opens, it’s still a big deal that Taco Bell had at least considered adding it to the menu; although, they should have probably considered those margs we mentioned and tequila shots, obviously. Tony Merevick is Cities News Editor at Thrillist and is sad that there isn't a Doritos Locos Margarita. Send news tips to news@thrillist.com and follow him on Twitter @tonymerevick.